The books are everywhere, including under her bed. 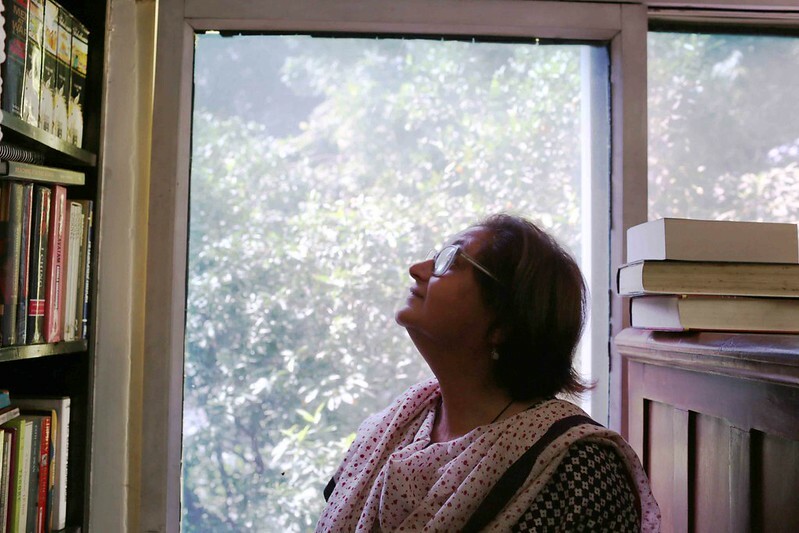 One afternoon The Delhi Walla visits Namita Gokhale at her home in South Delhi’s poetically named neighborhood of Safdarjung Development Area. 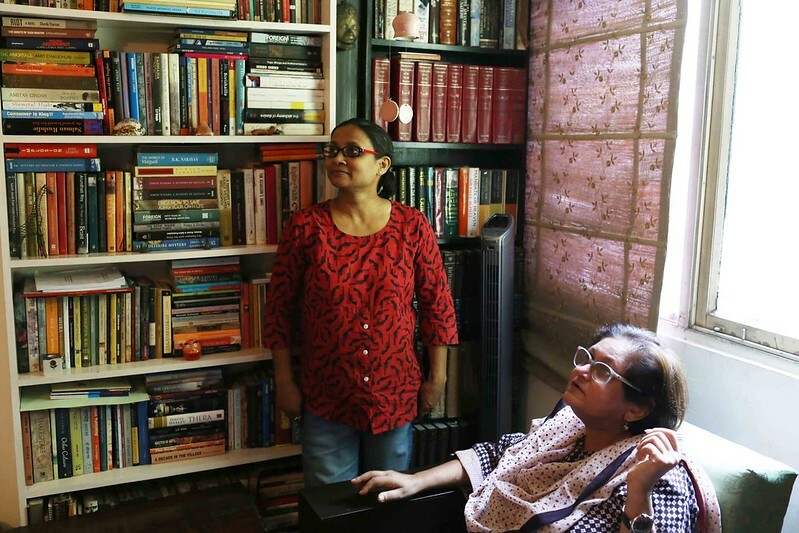 “I don’t know how many books I have,” says Ms Gokhale. 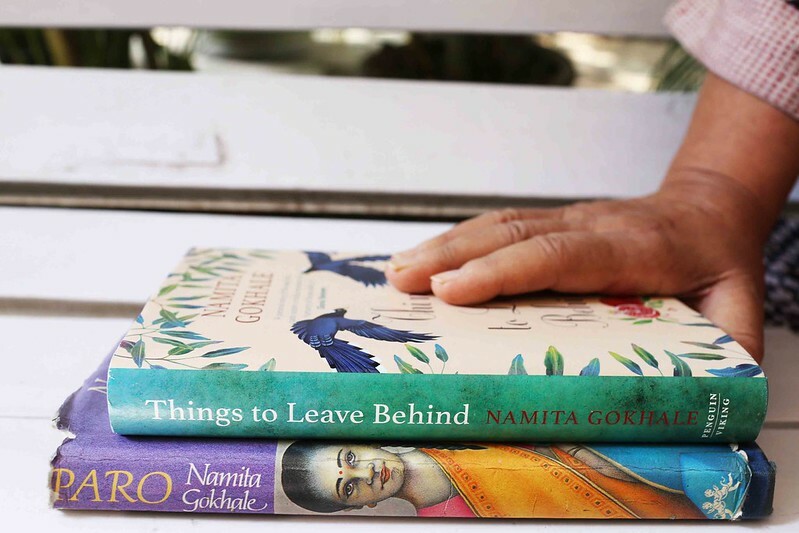 She is sitting on her drawing room sofa, possessively holding on to the first copy of Things to Leave Behind, her new novel that has just been sent by her publishers. Ms Gokhale must be one of the world’s luckiest hoarders of books. She has a job that every booklover will die to have—she is a co-director of Jaipur Literature Festival, that winter-season carnival in which every ambitious writer plots to get an invite. They all send their new releases to Ms Gokhale. For 30 years Ms Gokhale has been a customer at Midland Bookshop in the nearby Aurobindo Market. These days, though, she prefers to send her driver, Utpal Deka, to pick up the books she wants. It is too risky for her to go—she might pick up too many books. And where is the place to keep them now? Already 17 cartons of her books are lying at her daughter’s garage (one of her two daughters is the big boss at Penguin Random House). 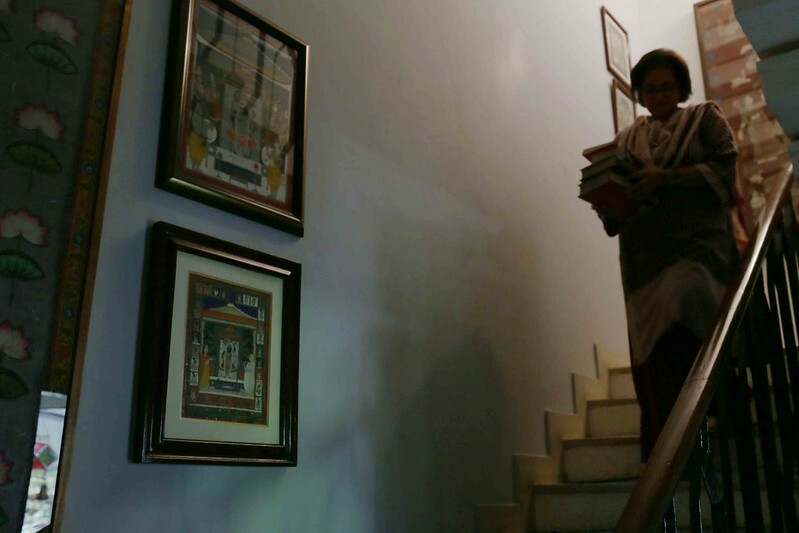 Her own house can be explained away as a giant library. Book cartons are stacked up even in the courtyard—I spotted a Joyce Carol Oates. And did you see Ms Gokhale’s bedroom! 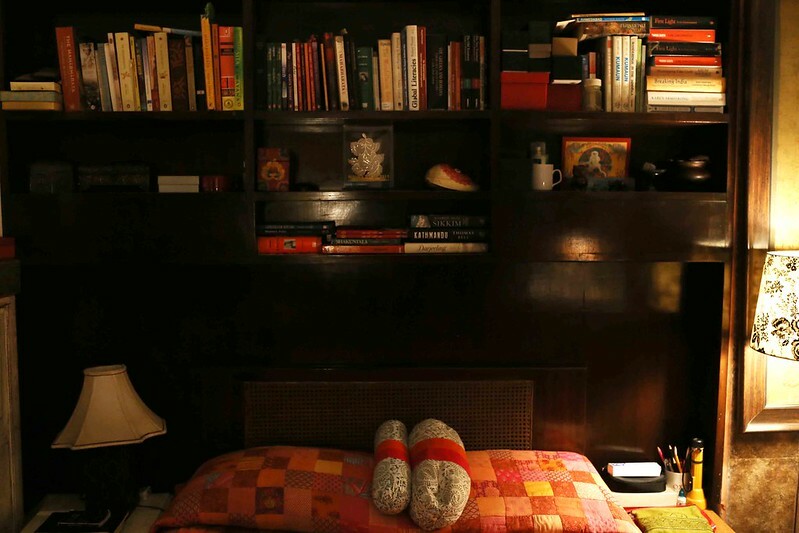 It is filled with so many books that it is surprising to see a bed there. The hat rack is saddled with book bags she has hoarded over the years from various literary festivals—the black one is clearly from a certain Crime Writers Festival. But is it humanely possible for anybody to read all these books? 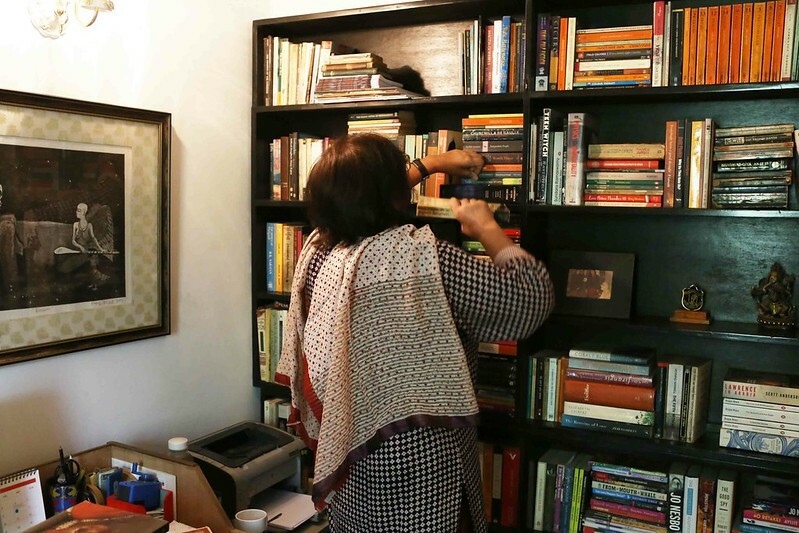 A “heavy skipper” of contemporary literature, Ms Gokhale boldly discloses her reading strategy, which is simply shocking. 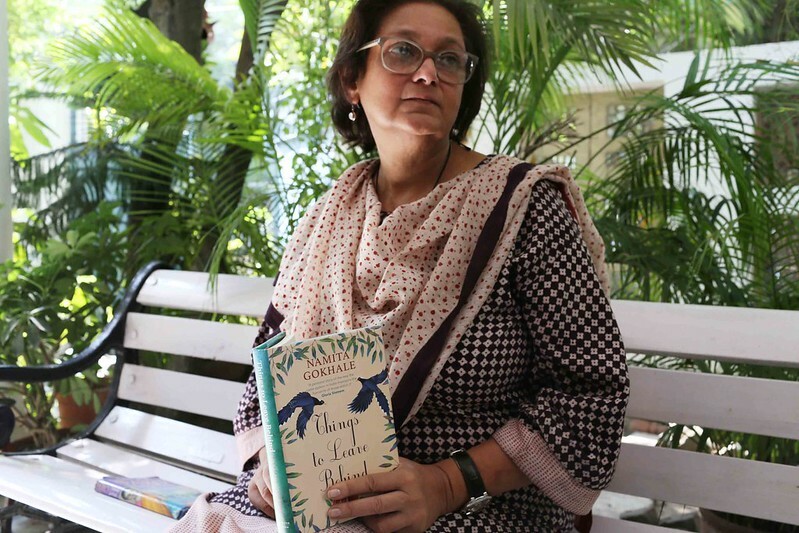 “Read the beginning, and if it’s good, move to the end pages, and if the final doesn’t disappoint, then go to the middle.” But, of course, Ms Gokhale has read the entire Rebecca. The Daphne du Maurier romance is such a beloved favorite that she also owns its vastly inferior sequel, Mrs de Winters by Susan Hill. 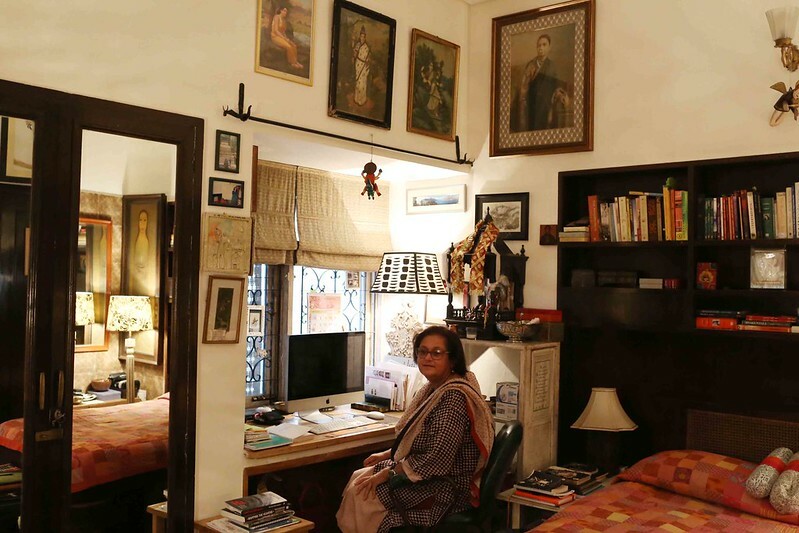 An essential person in Ms Gokhale’s books-filled habitat is her longtime assistant, the charming Rita Peter (see top photo). Affectionately known as Dolly, she is often found in the study upstairs. The place is crammed with out-of-print marvels—including the entire set of Encyclopedia Britannica that Ms Gokhale bought 35 years ago. There are also hardbound first editions of award-winning books such as Joseph Brodky’s collected poetry and David Remnick’s Lenin’s Tomb. The most special book here is Kumayun ka Itihas, a historical treatise on Ms Gokhale’s native land in the Himalayas. It was authored by Ms Gokhale’s great-grandfather Badri Datt Pandey, a leader of the Kumayun hills. And now the best part: Ms Gokhale is always happy to give away her books to people who really feel for them. Any book, that is, except one: Four Screenplays of Ingmar Bergman. “But obviously you will never give away that lovely David Remnick hardbound?” I ask. “Take it,” she says, without a moment’s hesitation. “But surely not Brodsky,” I say. I also have a greedy eye for the first edition hardbound of Paro, Ms Gokhale’s first novel. 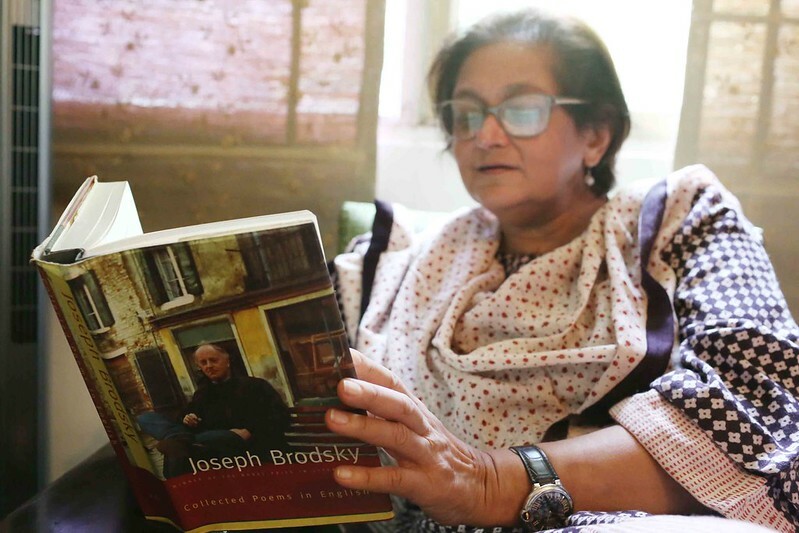 She, however, is left with only one copy and that too, she says, was very kindly sent to her by writer Sonia Faleiro who had spotted it at a secondhand bookstall in Goa. Out of politeness (and shame), I refrain from asking Ms Gokhale to give me this copy. I’ll simply flick it on my next visit. 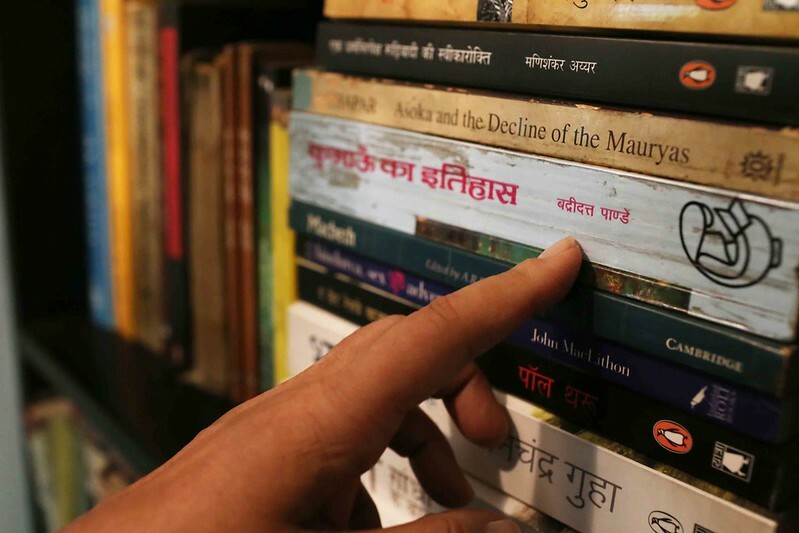 In the early 90s, Midland Bookshop was the only bookstore in the Malviya Nagar-Panchsheel-Hauz Khas area that had a decent collection of imported encyclopedias and Penguin classics( fiction & non-fiction). Some of the first books that I read came from that store and it’s nice to see that it continues to be frequented by such well-known customers as Ms.Gokhale.